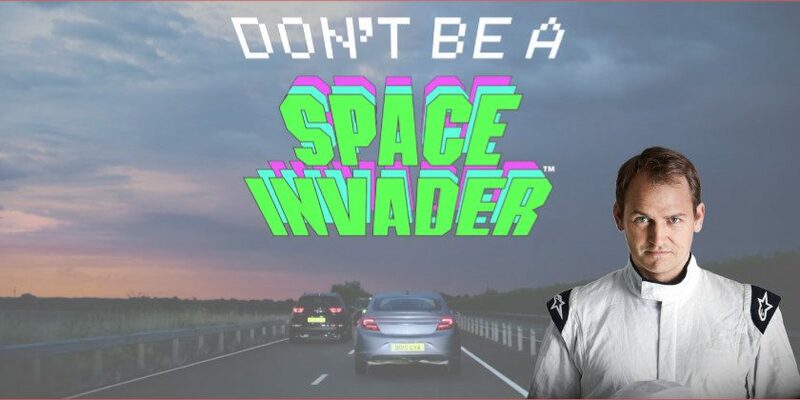 ‘Stay safe, stay back’ is the message from professional racing driver and Hollywood stunt expert Ben Collins to help remind drivers of the dangers of tailgating. Ben – best known for his role on BBC motoring show TopGear as the ‘tame’ racing driver in the white suit – has coached hundreds of celebrities from Tom Cruise to Lionel Ritchie around the race-track, and is also a championship winning Le Mans racing driver. But today his focus was on the drivers travelling on England’s motorways and major A-roads every day, and a message to them about the risks of driving too close to the vehicle in front. “I discovered the dangers of tailgating at a very early age – in an overly enthusiastic game of musical chairs. The music stopped. So did the kid in front of me. But I didn’t. I face-planted the back of his head instead. Statistics show that one in eight of all road casualties are caused by people who drive too close to the vehicle in front, with more than 100 people killed or seriously injured each year. Nearly 9 out of 10 people say they have either been tailgated or seen it. And more than a quarter of drivers admitted to tailgating. While a small minority of tailgating is deliberate, most is unintentional by drivers who are simply unaware they are dangerously invading someone else’s space. A survey by the company revealed that tailgating is the biggest single bugbear that drivers have about other road users. And in-car research – using dashcams, facial recognition, emotion tracking and heart monitors – reveals that a driver’s typical reaction to someone who tailgates them is surprise, anger and contempt, with a spike in heart rate. Highways England says good drivers leave plenty of safe space for themselves and others. “It’s great to have someone of Ben’s experience backing the campaign and the message today is really simple around tailgating. We know that if you get too close to the car in front, you won’t be able to react and stop in time if they brake suddenly. Tailgating also makes the driver in front feel targeted and victimised, distracting their attention from the road ahead and making them more likely to make a mistake. A host of companies have already backed the ‘stay safe, stay back’ campaign, including National Express, which is carrying the message on some of its long-distance coaches. Other advocates include the RAC, National Police Chiefs Council, leading road safety bodies Brake and the Institute for Advanced Motorists, and Thatcham.